All of the Amazon Echo devices work with a cloud based assistant called Alexa and respond to voice commands. They can be used to set alarms,play music, and controlling a variety of smart home devices like lights. The Amazon echo continuously listens for a wake up command which by default is Alexa. Once it detects this command it sends the audio that follows to the Internet for decoding. The Alexa personal assistant located in the cloud decodes the audio into text commands. These text commands are process by a program known as a skill, and Alexa responds accordingly. Amazon records these voice clips on your account, and this has raised a lot of privacy issue concerns. Amazon does allow you to logon to your account to listen to and delete these recordings if you want to. You can also turn off the microphones, but that means that the device is not functioning. There are very few control buttons on the echo and echo dot. Here is more detailed overview of the hardware. In order to work The echo needs to connect to your Wi-Fi network and the Internet. 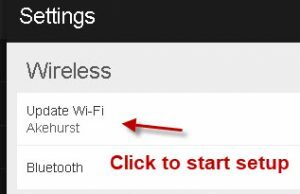 The Wi-fi setp can be done either on the App which you will need to download. For android devices you can download the free App from the google play store. and for IOS from the Apple itunes store. You can use your PC and a web browser by logging on to your account and click on Update Wi-Fi in Settings and follow the Instructions. Here is the amazon setup help web page. 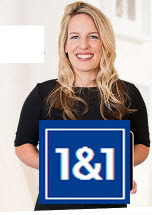 There is zero configuration required on the actual physical device. All configuration is done on Alexa. To change Alexa settings on your PC go to alexa.amazon.co.uk (UK based)or alexa.amazon.com (USA) etc. The Alexa app isn’t only for configuring your echo device it also receives visual information from Alexa. 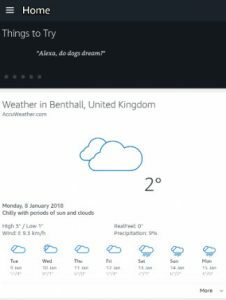 For example if you ask Alexa for weather information it will tell you and also display a weather Card on your App. 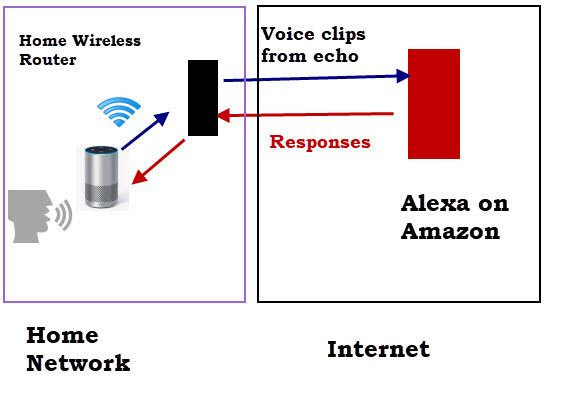 Although originally designed as a virtual assistant Alexa can also be used for controlling hundreds of smart home devices using Smart home skills. These skills are usually created by the device manufacturers and allow you to control them using voice commands. Alexa comes with many built in commands. A skill is simply a program that understands and responds to a set of commands. Many third party skills require that you link your account to Alexa.